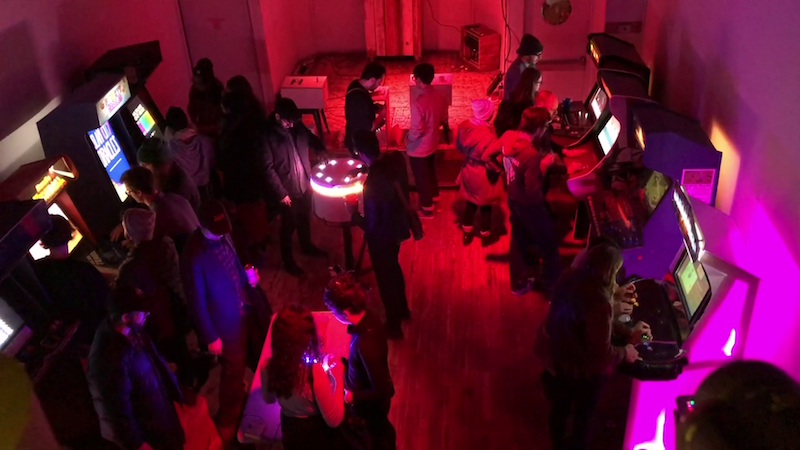 Mark Kleback and Stephanie Gross, former DBA denizens and now engaged to each other, are asking Brooklyn’s art, video game and alcohol lovers to pony up $70,000 on Kickstarter to help open what they’re calling Wonderville. With the blessing of the team behind Secret Project Robot, Kleeb and Gross are taking over the venue’s current space in Bushwick on Broadway, and transforming it into a bar and an arcade that will be home to the handbuilt arcade cabinets Kleback has built over the years. 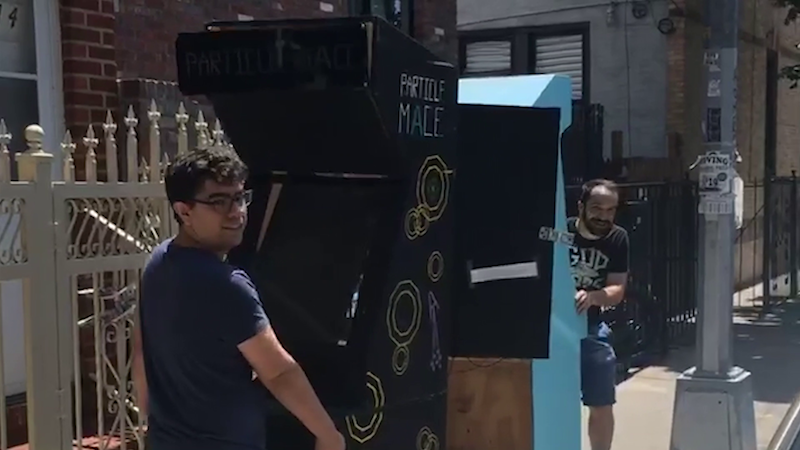 “We’ve been moving place to place for five years, and we’ve had some amazing gallery installations,” Kleback, the DBA Arcade founder and cabinet-maker, said of the roving arcade cabinets. 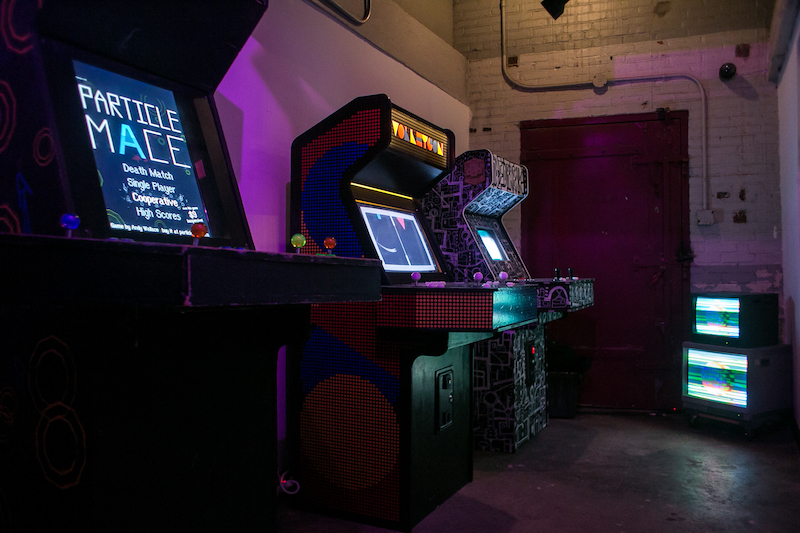 But in Wonderville, Kleback says he can attain his dream of a centralized spot for the city’s DIY arcade scene, “a space where the game community is is first and foremost” as opposed to being a kind of perk to seeing a show, he told Bedford + Bowery. The arcade games in question are not your usual retro arcade cabinets that are out to eat your quarters as you insist more beers will actually make you better at fighting off one of the many difficult bosses in The Simpsons arcade game. In addition to being free, the games (with the exception of A Place To Bury Strangers pinball) are free of intellectual property, and mostly focus on multiplayer competition, like the boat-racing Powerboat Italia ‘88 or fight for virtual territory that is Crystal Brawl. While the idea behind Wonderville is to put the focus on the arcade cabinets and the game designers whose creations exist inside them, Kleback said that Wonderville will also be home to art installations, the occasional concert, game design workshops and space for board games. “While it’s going to be game-centric, I think of Wonderbille as an all-purpose art space that can be inclusive,” Kleback said. The pair are of course in luck that they’ll be able to move in to an already existing space rather than having to search for one, though Gross explained that there are of course expenses that go into the move, which is what the Kickstarter is for. “Rachel Nelson (Secret Project Robot’s owner) is phenomenal, when it comes to running businesses,” Gross, a city employee by day, told Bedford + Bowery, explaining Nelson’s commitment to keeping the venue legal. The money raised on Kickstarter then, will go to expenses like buying a business with an existing liquor license, equipment Secret Project Robot has purchased that will be staying in Wonderville, and for some minor renovations to “make it more ours” Gross said. With creative and iconic Brooklyn spots under siege and in retreat, Wonderville obviously can’t stem the tide on its own. But Gross and Kleback said that beyond having a space to open, it’s especially exciting to put down roots in a legal and therefore more permanent spot. “At this point in life, not doing it legally would be not fun,” Gross said laughing. The safety of Wonderville guests was at the forefront of Gross’ mind, something she said she was happy to inherit from SPR. “What a amazing gift to have a venue that is so safe and secure, it’s just a wonderful peace of mind, and allows Mark and I focus on more awesome planning,” she told Bedford + Bowery. “It’s really exciting for us. When we thought about getting our own space, what I really didn’t want to do is go into another illegal space, because you invest so much time building it out and investing in the community only for that Department of Buildings to show up and shut you down right away,” Kleback told Bedford + Bowery.